Kenny Blue Ray, the Blues Zeus and lick master. As always Kenny, a master lesson. T-Bone is essential material for us blues guys. You make it look so effortless...but real good stuff! I will be going over this video lesson many times! I really like the way you teach the blues, the history, etc. I look forward to each lesson and technique. I have to agree with wprice and ask everyone criping about tab and "it being too fast" to please chill out and realize that kenny's offering something more than that with his lessons. He's offering his style, his approach, his experiences, and the guy is a blues master. He oozes blues! That's what I'm interested in watching. The spirit and feel of kenny's delivery is challenging, but it should be, it forces you to hear it, find it on your own, make it your own. I could study this lesson and explore the licks and rhythm of the material for a month. kenny, I love your style, your stream of consciousness dialogue, your straightforward approach free of all technical gobbledygook, every time you change the subject to introduce a new idea or lick I pick up my guitar. Don't change a thing! Any slower and I couldn't watch. He isn't teaching the basics. He is teaching how to put things together. That is why his lessons are so good. I wish there were more like his. Most of the lessons on this site spend way, way, too much time explaining in gory detail what everyone already knows. You have to wade through tons of that stuff to find a few new ideas. More like Kenny, please. For Migibson59, Your right maybe I'am just not ready for this . I will go back ancd practice some more. All I wanted was to slow down so I could see more clearly the finger positions. Thanks for youe concerns. Hope I'm not chasing you away, dallendouglas. Just giving my perspective as a fellow neophyte. Kenny IS a bit tougher than the others, so I hope you're not discouraged. Good luck and I hope you have fun as you get better. I certainly enjoy this site very much, and the wide range of teachers is one of the big reasons why. Hi Blue Ray. Love your stuff. Keep it coming. I understand where some of the others are coming from in terms of slowing down, etc., but I'd like to offer a different view. 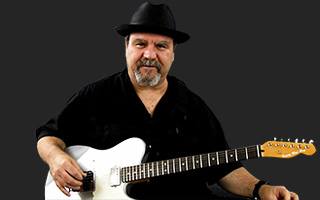 I've done some of the other blues lessons on this site - Hawkeye Herman, Eric Madis and bits and pieces of some of the others - and they've all been great, every single one of them, without exception. Kudos to all of you. Kenny, though, is the first one who's really PUSHED me. Yeah, I fall behind sometimes, yeah I have to go back and look at what he's doing several times sometimes, and yeah, it's a slower process, sometimes a bit of a slog. 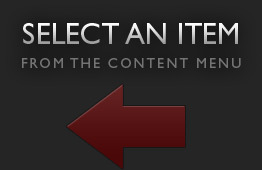 But I think that's what this site needs. Assuming its most loyal users make it through their respective areas of interest, it will be nice to have something a little more advanced, a little more challenging. Not to criticize those who say Kenny is going too fast for them, but maybe they should try some of the other teachers on this site first, learn their stuff (which, again, is first-rate), then "graduate" to Kenny. As for me, I appreciate the challenge. Still waiting for supplemental content. It's in there now folks! Sorry about that, Matt is working on it and it should be going up very soon. hey rarsen, I too can see what you're talking about, he does move a bit fast. might I suggest looking at Eric Madis's series first? he does a great job with his blues lead and after you're done his, come back and you'll be able to follow Kenny Ray easily! I think I actually like that he doesn't show everything in baby steps cuz it forces you to use your ears. yeah...what Sylvia said. I should get this lesson done sometime tomorrow (2/8).